My flat garage roof is very very heavy with this heavy snow. Looking for help to clear it this weekend. With my heart condition and my husbands bad back, we will have trouble doing it alone. If you can help, we can pay you. Please respond through Front Porch Forum if you are able. thank you! 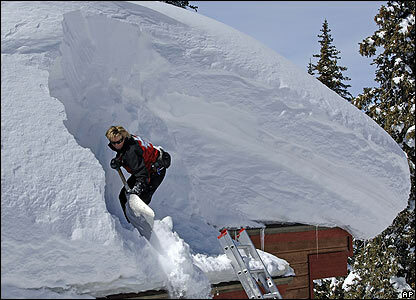 I am overwhelmed with the out-pouring of offers of assistance to shovel my roof. Thank you all for your generosity! I think we have it covered now. Amazing how community IS STILL ALIVE! There are good people left in this world!! !